The solar power tower, also known as “central tower” power plants or “heliostat”, is a type of solar furnace using a tower to receive the focused sunlight. 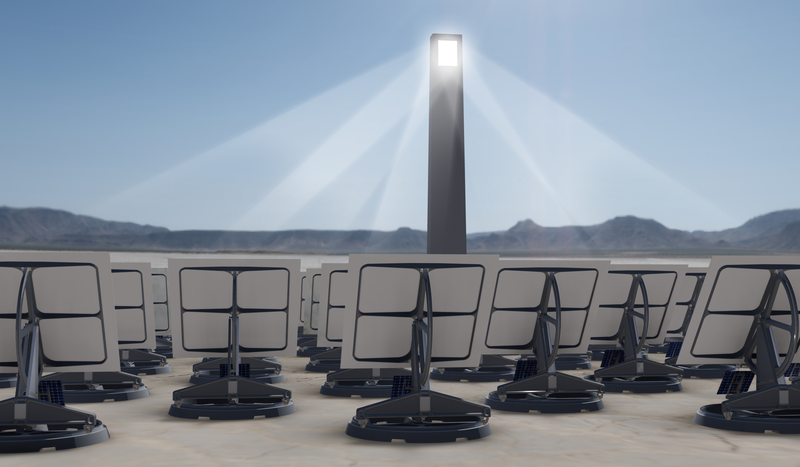 It uses an array of flat, movable mirrors (called heliostats) to focus the sun’s rays upon a collector tower (the target or receiver). Concentrated solar thermal is seen as one viable solution for renewable, pollution-free energy. Early designs used these focused rays to heat water, and used the resulting steam to power a turbine. Newer designs using liquid sodium have been demonstrated, and systems using molten salts (40% potassium nitrate, 60% sodium nitrate) as the working fluids are now in operation. These working fluids have high heat capacity, which can be used to store the energy before using it to boil water to drive turbines. These designs also allow power to be generated when the sun is not shining. PQ|Post Solis 1 is designed specifically to achieve unprecedented tracking accuracy, ease of installation and lowest manufacturing cost. 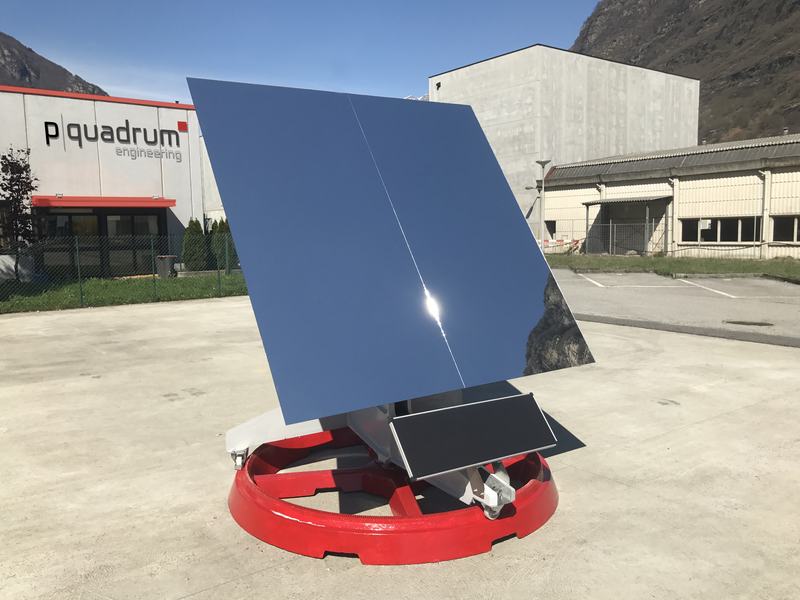 The structure of our heliostat is entirely made of high performance polymer fiber reinforced precasted concrete, this assures peerless structural stiffness and durability when compared to more traditional metal frame used by competitors. Moreover concrete casting is accomplished locally with local resources (man power and raw material ) avoiding transportation expenses. As the heliostat is self-standing virtually no site preparation is required.